This year’s Alzheimer Europe conference is on ‘Autonomy and dignity’ between 20-22 October 2014. I think it is timely that this conference is taking place at this important stage of the development of English national policy. The direction of travel is a fully integrated health and care system, where people are signposted to information quickly and can make appropriate decisions. The person living with dementia must come first; but we are also moving to a situation where a number of different people, such as friends, family, unpaid caregivers, paid carers, social care practitioners or nurses, might help to influence a personal care plan. Ideally, a person living with dementia will be given in the future good care and support, in accordance to his or her known wishes, from the point at which a correct diagnosis is made. Autonomy is part of the medical construct for ethical behaviour; beneficence, justice and non-maleficence are critical too. With the ideal of autonomy, it’s vital that no ‘coercion’ takes place for people with dementia who are able to make autonomous decisions. There should never be an illusion of people living with dementia where they are able to make decisions, when those decisions are clearly made on their behalf. Dignity is pivotal to all dementia policy in England, and the law must be robust in safeguarding vulnerable people too. 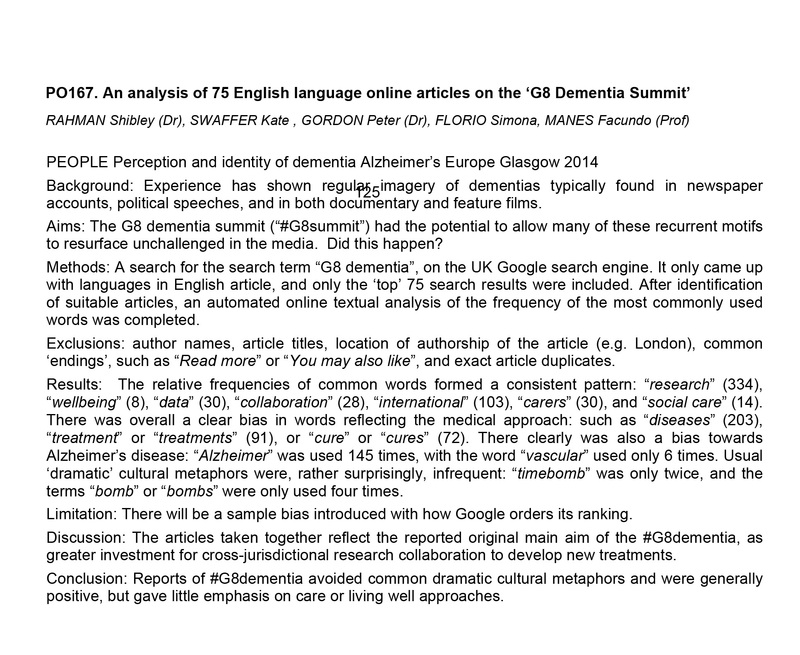 I am looking forward to presenting two posters on language and the perception of #G7 dementia. I am also privileged in that I have been chosen to present one of the few oral presentations. 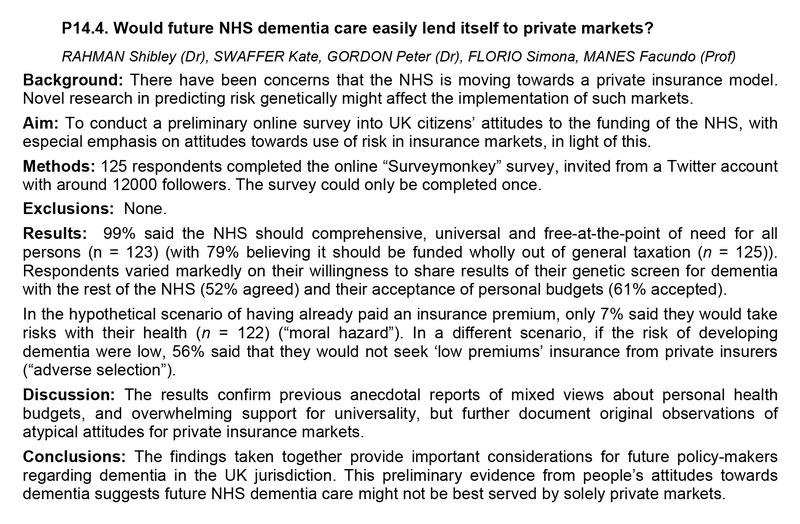 I am doing on this on the future of healthcare systems for dementia in England, arguing that policy aims, in particular universality and equity of access, will not be satisfied from a private insurance market. 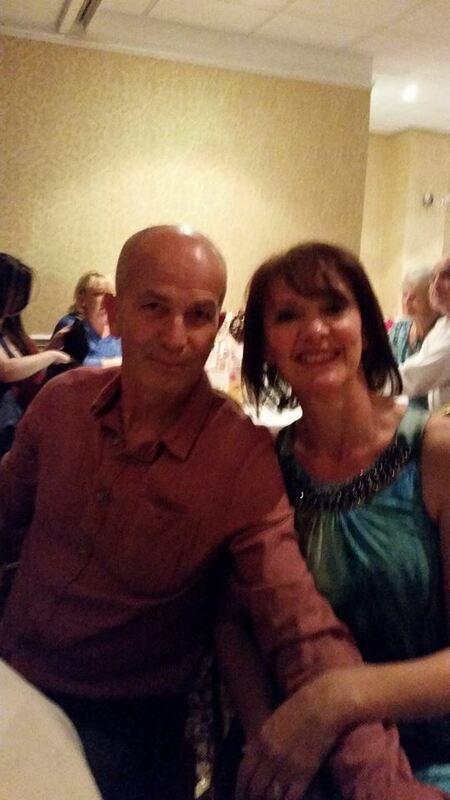 I will be joined by my close friends Jayne Goodrick and Chris Roberts. 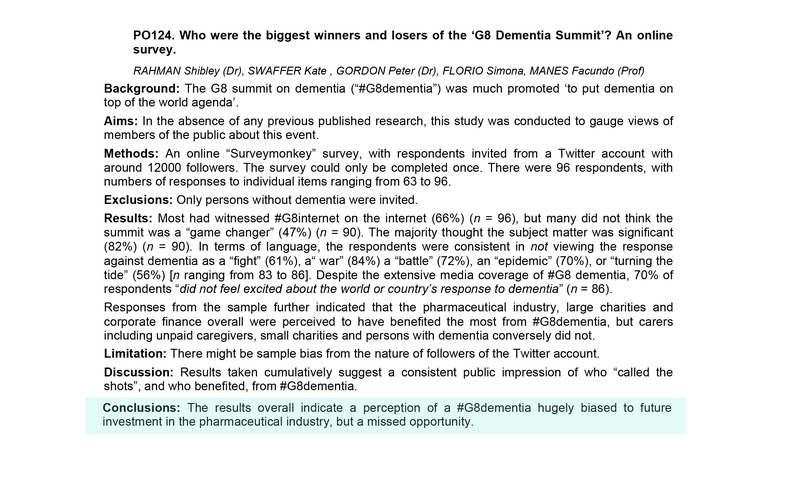 Please feel free to consider the research I’ll be presenting on behalf of myself, Kate Swaffer (living with a dementia and student at the University of Wollongong), Dr Peter Gordon (Consultant Psychiatrist), Simona Florio (Healthy Living Club, Stockwell), and Prof Facundo Manes (Chair of Behavioural Neurology, University of Favorolo, Buenos Aires; Co-Chair for research in dementia and aphasias for the World Federation of Neurology).